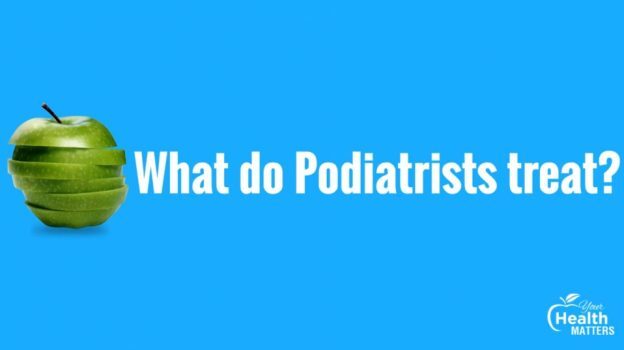 Steve: Podiatrists treat feet, ankle, shins, knees, legs, hips. They treat everything from the hip down. And that can be bio-mechanically, getting people walking better, moving efficiently. It can also be general treatment. Looking at the skin of feet and toes. Nail surgery, looking at nail beds. Cutting nails. Some people haven’t got the mobility in their hips to cut their nails as they get older. Or they can help with looking at the feet from a Type-2 Diabetes perspective where the extremities have decreased blood flow and can develop sores and pressure sores. Bill: And all the sort of skin conditions. Blisters. Bill: Right. So they treat everything on the lower limb. They’re a lower limb specialist. 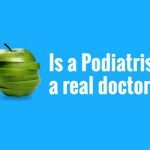 Steve: They are a lower limb specialist but Podiatrist sounds better. It has a better ring to it.